Are you or a loved one having trouble with everyday activities? Have you been to many doctors and specialists with little result? Not being able to do seemingly ‘simple’ activities can be frustrating. Everyday activities everyone else can do so easily yet you can’t seem to do easily - or can’t do at all. You may be sick of being tired all the time. The days seem way too long. And your temper may flare up more quickly than you’d like. Perhaps your child is not keeping up with school or peers. When you’ve gone down a few avenues already, but are still looking for answers, you may benefit from chiro neuro-rehab. Chiropractic neuro-rehabilitation is an area of chiropractic that focuses on strengthening the electrical connections or pathways in your brain. Everyday activities can be hard to learn and remember when certain paths in our brains don’t work as well as they should. Imagine walking along the same path every day for a number of years. This path is a well defined track. One day you decide to venture off the path and onto the nearby grass. Looking behind you, you wouldn’t see a path but merely footprints. If you repeat this new route every day, you would eventually create a new path. The more we use a path or a brain connection, the more defined and stronger it is. Learning and memory depends on the way we create and change connections in our brain (known as ‘neuroplasticity’). We help people build stronger paths. By walking those paths again, you can learn and remember more easily to do everyday activities many of us take for granted. Such as following instructions, holding a knife and fork, sleeping peacefully, or not falling over when you stand up too quickly. Who may benefit from chiropractic neuro-rehabilitation? We regularly see people who have these issues in addition to other diagnoses such as stroke, Parkinson's, dementia, behavioural difficulties and learning difficulties. Living with these conditions can leave you feeling tired, frustrated and hopeless. Getting the right treatment can help you feel more independent as you strengthen your brain’s pathways - and get used to doing activities you’ve had trouble doing on your own in the past. Are you having trouble with simple activities? We often think an activity such as catching a ball is easy. Yet so many parts of our body and brain are involved in this simple activity. All in a fraction of a second! Our body calls on a huge amount of activity in our brains to catch a ball: motor, reflexes, coordination, range of motion, and more. Not as simple as it sounds is it? Yet it’s important to realise how complex the process is - because when we can’t do ‘simple’, activities, it’s easy to get angry, frustrated, and anxious. Especially when we need to depend on others to do everyday activities like tie our shoelaces or hold a fork to our mouths. Even getting to an appointment may require assistance from a loved one. We help you strengthen the pathways in your brain so you’ll find it easier to do everyday activities. What exactly does a session involve? This is your chance to ask questions, and share concerns. 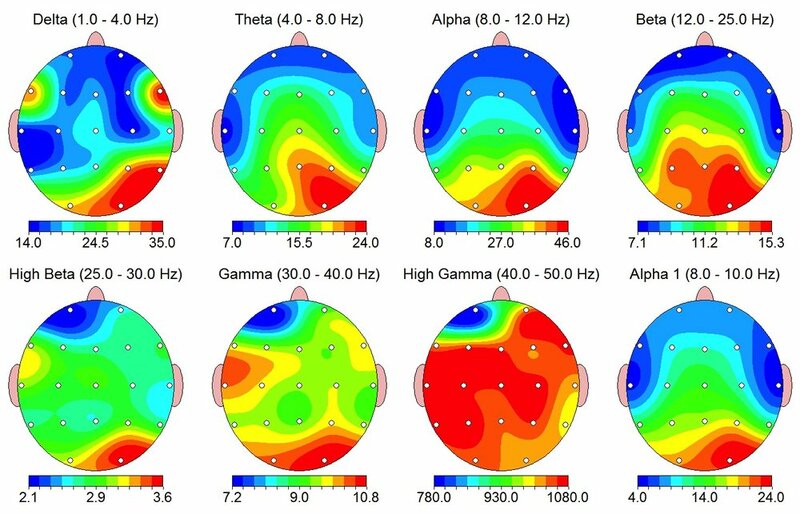 We may also arrange a brain scan, also known as ‘Functional Brain Scans - Quantitative Electroencephalograms (QEEG)’. A brain scan gives us a map of how your brain works. 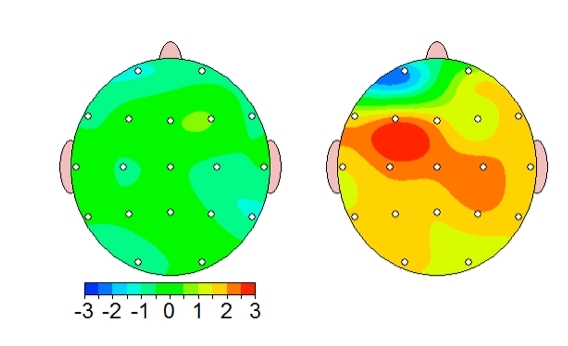 It analyses the electrical activity in your brain and highlights patterns. When you see this map - and we explain what it means - you’ll understand what’s causing problems and why we use specific techniques. It will also make it clear how you can progress faster by doing activities we may suggest you do at home. Often you’ll know when you’re making progress - when you can do something you couldn’t do before. We’ll also compare before and after brain scans so you can see what has physically changed in your brain. What are we looking for during an assessment? You may wonder why you’re being asked to play a game, touch your toes, or look sideways. There’s good reason! It’s also important to realise we’re not testing you. There’s no pass or fail. We’re checking to see how how easy - or hard - it is for you to do specific activities. And that gives us an idea of what connections we can help you improve. Can you get better faster? The more involved you are, the more likely you’ll improve. Remember, the more you use pathways, the stronger and more defined they’ll be. That’s why we give you simple take-home exercises. We’ll show you how to do the exercises, explain why you’re doing them - and give you clear goals. This makes it easier for you to track your own progress and keep motivated in between treatments - and give yourself the best chance to get back to doing (or begin to do) everyday activities you’re having trouble with. Is chiropractic suitable for kids? We have a paediatric chiropractor, a child-friendly treatment room, and a gentle, safe approach. Wondering if there are any side effects? Or if it’s safe for babies? Read more about our chiropractic service for kids. Dr Cassie Atkinson-Quinton has completed three postgraduate degrees: one in Sports Chiropractic (ICSSP), another in Chiropractic Neuro-Rehabilitation through the Carrick Institute in America (DACNB) and finally, in QEEG Functional Brain Scans (QEEG-T). She is the only Australian practitioner with this unique combination of qualifications. Cassie is often invited to speak at local and international events and educates people about natural ways for better brain and body health. You can expect easy explanations and down-to-earth, friendly sessions with Cassie. She is a caring, dedicated practitioner with a personal interest in helping her patients live ‘normal’ lives. As a child she struggled with learning difficulties and headaches - this has driven her passion for neuro-rehab chiropractic. Brain power improves with brain use, just as our bodily strength grows with exercise.